Ryan sending Lochie to bed during his date with Candice. Paul and Helen are eating cake; she asks him if he's heard from Jim, he's only had a postcard with no information on. Paul is annoyed that Jim just “ran away” and is considering joining a chain of garages so he would have reliable staff, Helen thinks he is being hasty. 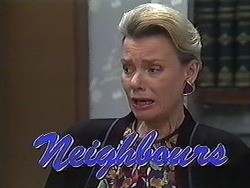 Beverly then comes through to collect Todd after her trip away, Helen tells them about Todd and Cody kissing earlier. Paul is jealous of Todd's pulling power and wants Todd to give him some pointers! 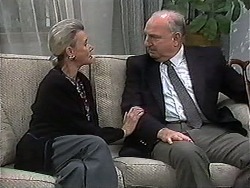 Beverly asks after Jim and Paul repeats what he told Helen. Ryan is talking to Candice, Lochie is still bothering them, he sends her to bed and they put a video on. The video has finished and Lochie is still standing in the hallway, she wants a story and Candice offers to tell her one. While Ryan is in the living room, Candice has Lochie up against the wall, she tells her to keep quiet or she'll be sorry, Lochie runs off to her room. Candice explains to Ryan that he's a little young and only agreed to a date to wind Matt and Des up. Ryan agrees to let everyone else think what they want. Lochie and Ryan are at the bottom of Number 24's drive, they are bouncing a ball and discussing Ryan's date last night, Lochie thinks Candice was mean. Helen comes out to collect her rubbish bin and Bouncer is hopping around, one of his legs is injured. Lochie, Toby and Helen think he is pretending to be injured. Beverly and Kerry are discussing when they will give up work. Ryan delivers their order and is then called over by Des and Matt. They want to know how his date went, Ryan said it went well, just then Chrissie and Candice come in. Chrissie tells Ryan (and everyone else) how amazing their date was, everyone looks a bit stunned by this! Chrissie asks Candice about Ryan, she tells Chrissie that she only went along with it to wind the other guys up, Chrissie warns her about Dorothy! Just then Matt runs in with a woman in labour and her husband, he brought her to Paul so he could decide what to do! They go back to the hotel and Chrissie goes to find Beverly! Paul won't let Candice go and help. Derek is visiting Helen, they have just been for a drive, and Derek enjoyed it. Helen goes to make some tea; Derek says he has altered his will to set up the Scholarship with Helen as administrator. He goes onto say that he hopes to be around for a while yet but is clearly in a bit of pain as he leans forward to hold Helen's hand. Chrissie has rung for an Ambulance and Beverly has arrived but there isn't time to get to the hospital. The mother's name is Jen; Beverly tells her that there isn't long to wait at all! Chrissie wants to leave but Beverly asks her to stay. The baby has been born; the couple are extremely happy and thank Beverly. Chrissie comments how important it is to have the father around; this gives Beverly some food for thought. 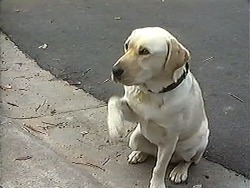 Paul wants to know if Lochie and Toby have a Begging Licence, they try to leave but he won't let them. Toby wanted the money to buy a new toy racing car but he is 5 dollars short, Paul gives Toby the 5 dollars as long as they never beg again, he agrees not to tell Joe also (Such a softie!). Beverly is speaking to Kerry about the couple from Lassiters, she's upset because Jim isn't around and he isn't there for her! Kerry thinks they will work it out and she will be there every step of the way. Ryan asks Candice to the cinema but she wants to talk to him, she wants to end the joke and suggests he dumps her. As Des walks in, Candice walks out crying, Des proclaims that Ryan has a gift! Helen comes out of her bedroom with some drawings, she goes over to Derek but he won't wake up, she phones Beverly and asks her to come immediately!